Fordham’s doctoral program in History trains students to be not only skilled researchers but also great teachers. That was one of the reasons why I chose Fordham. My favorite part of studying history has always been sharing it with others, and Fordham’s History Department offers students helpful training to do just that through its Teaching Tutorial program. This pedagogical training occurs near the end of coursework and is required before PhD students can become instructors of their own classes. Doctoral students choose a faculty member in an Understanding Historical Change course, and sign up for a tutorial to shadow him or her for a semester. They sit in on the UHC course, and attend meetings with the professor to discuss course content and teaching strategies. 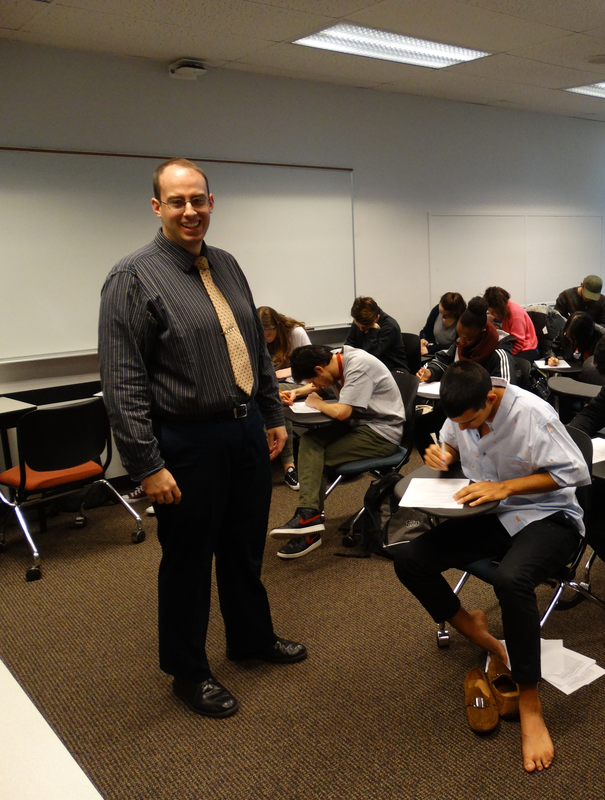 The faculty member mentors the student as he or she lectures two classes and leads two class discussions. Some grading is also involved, since that’s a big part of the job. But the main assignment is producing a syllabus. 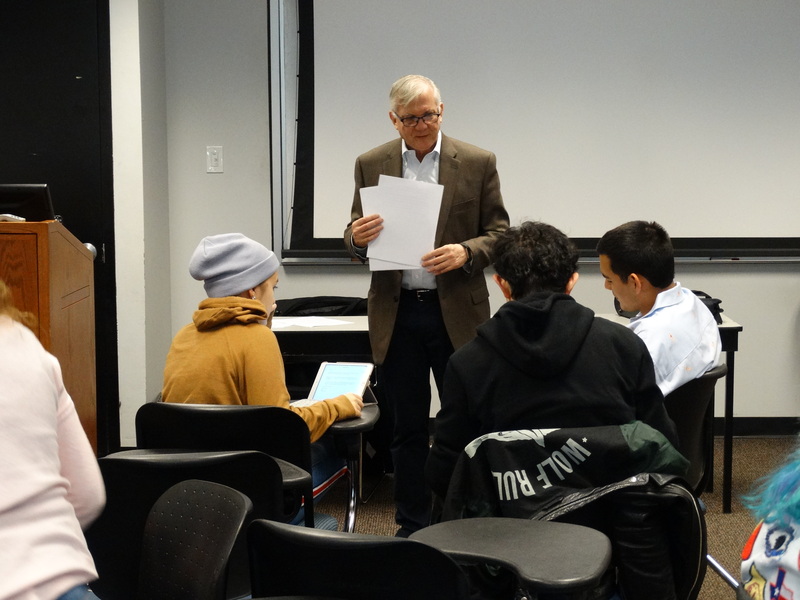 Under the helpful guidance of their faculty mentor, PhD students create their own version of the course, or another class that they intend to teach in the future. Graduate students can feel like they are being thrown in the deep end of a pool when they start teaching, but with this tutorial under their belts, the pool doesn’t feel quite as deep. I completed my Teaching Tutorial this semester. As I was deciding who to shadow, my advisor, Dr. Nick Paul, recommended that I pick someone outside my major field of study, Medieval Spain. My other coursework and dissertation would show that I could teach that; the Teaching Tutorial was a chance to demonstrate that I could handle something else. I also talked with Dr. Maryanne Kowaleski about my choice, and she suggested that I work with Dr. Lindo-Fuentes at the Lincoln Center campus. He teaches UHC Latin America and specializes in economic history, the history of education, and the history of memory in modern El Salvador and Central America. Those were definitely fields, times, and places outside my area of expertise. Yet they were not entirely disconnected from my research. Spain ruled Latin America for nearly three centuries, and in many ways, the early modern Conquest of the Americas was another stage of the medieval Reconquest of Iberia. Connections became apparent as soon as the course began. 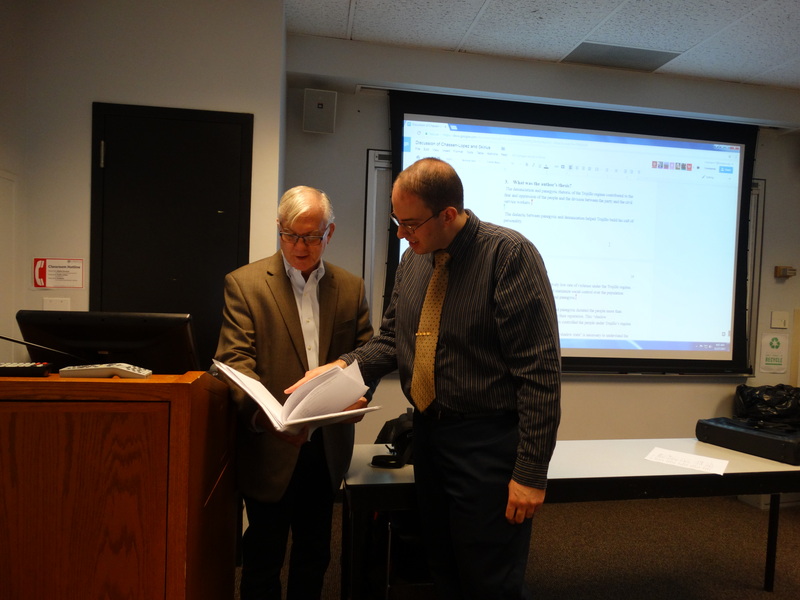 In fact, my lectures always included some medieval background. Before talking about law in colonial Latin America, I discussed the development of the medieval fueros (laws). Prior to discussing indigenous-Spanish relations, I discussed Christian-Muslim-Jewish convivencia (coexistence) in Iberia. Medieval and early modern parallels also became clear, since I was taking Dr. Beth Penry’s Golden Age Spain and Its American Empire this semester. This course and my Teaching Tutorial nicely reinforced one another, and indeed, Dr. Penry kindly allowed me to borrow some of her PowerPoint slides for my own lectures. I feel very fortunate to have taken UHC Latin America this semester. Besides overlapping with my research interests and other coursework, the class allowed me to see a great educator at work just before he retires. Dr. Lindo-Fuentes always brought an energy and enthusiasm to the classroom, even when he was under the weather and barely able to speak. He constantly moved around the classroom and tried to engage students in the material. 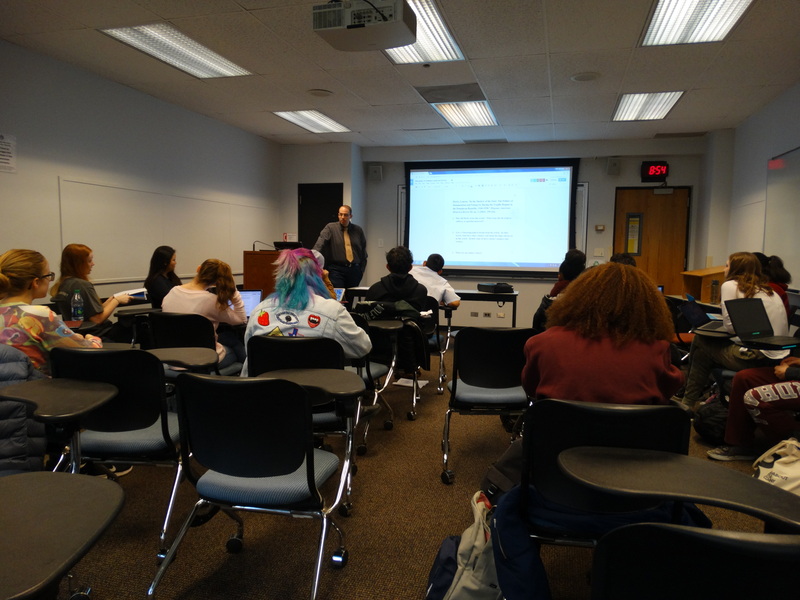 He did this by devoting some days to discussion about a scholarly article, breaking up lectures with mini-discussions about primary sources, showing a few documentaries, or having students create presentations. UHC is a lecture course, but Dr. Lindo-Fuentes stressed that the professor should not be the only one talking. That advice was probably the most surprising lesson that I learned. When my friends and I discuss our future teaching careers, our main concern is usually that we don’t know enough. We’re afraid to get questions that we cannot answer. Dr. Lindo-Fuentes demonstrated that good teachers focus less on themselves and more on their students. Teachers must know the subject, but teaching isn’t about showing off how much you know. It’s about helping students to learn and make knowledge their own. That’s a tough job, and I’m as excited as I am terrified about doing it for the first time next semester. However, thanks to Dr. Lindo-Fuentes, the Department’s Teaching Tutorial, and the support of other faculty and fellow students, the pool doesn’t look quite so deep.